your disability has already lasted or is expected to last for a minimum of one year (or is expected to result in death). In addition to these specific conditions, there are additional criteria that will be taken into consideration before disability benefits will be paid out. 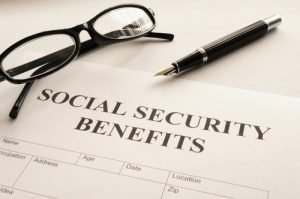 Qualifying for Social Security Disability benefits depends on several factors. In some cases, it is as simple as proving you are blind. However, for most individuals, other circumstances will be considered. Most claimants must have a work history in which they paid into the Social Security system, and they must also have a medical condition that rules out full-time employment. Your age and the level of education you have attained may also be taken into consideration. It is generally presumed that a younger person (under the age of 50) may be able to retrain for a different type of employment. The Social Security Administration also expects people with more education to be flexible when it comes to finding different types of work, despite the presence of a disabling condition. When all factors are taken into consideration, people who become disabled over the age of 55, and who have medium-to-heavy work histories, are approved more readily than younger claimants or those who are highly educated. If you are disabled and unable to return to full-time employment, the knowledgeable legal team at Thurswell Law can help you determine the best way go about filing and/or appealing a claim for Social Security Disability benefits. We have many years of experience and understand the many steps that are required to optimize your chances for a successful claim. We will help you gather the medical records and other vital information necessary for a successful claim. It is important to begin the filing process as soon as possible after you become disabled or determine that you will be unable to return to work for at least 12 months. Prompt action is the best way to make a claim for all the benefits to which you are entitled. Don’t delay, give us a call at 248-354-2222 and let the experienced attorneys at Thurswell Law help you today.